When someone lands on your page, you need to immediately capture their attention. You have a product that you sell and you want more people to buy. People say you need more traffic. Sure, traffic is great, but in most cases, more than 95% of your visitors aren’t taking the desired action. Improving your landing page and going from even just a 2% conversion rate to a 4% conversion rate means you’ll double your sales. That’s a lot easier to do than doubling your traffic! The purpose of a landing page. How to create a compelling headline. What should go into your video. How to cover the benefits of your product. How to share the features. How to leverage your testimonials. The right purchase options and packaging. Effective FAQ and money-back guarantees. How to make signup forms that convert. Tips on price anchoring, storytelling, and more! Wait! Save $100 on This Mini Course! Before you continue, I wanted to make sure you were aware the mini course you’re about to purchase is FREE for Gold Members. 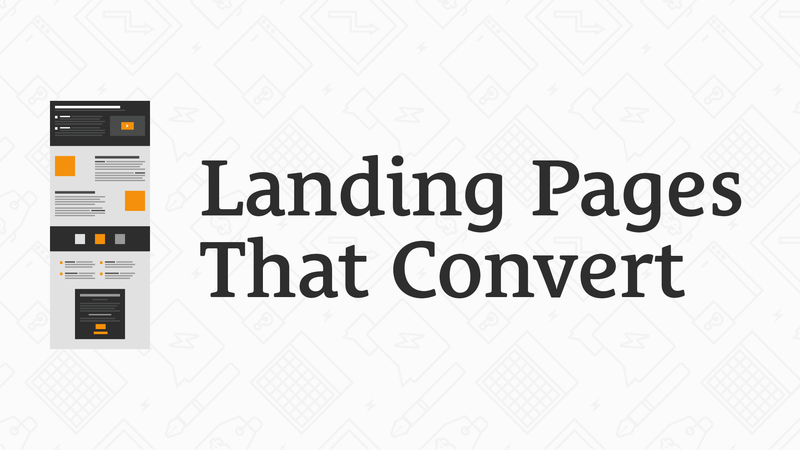 Since Gold Membership is just $99/mo, you can save $100 on getting access to Landing Pages That Convert.